These stylish throwers offer an attractive design influenced by the unforgiving talons of a dragon. 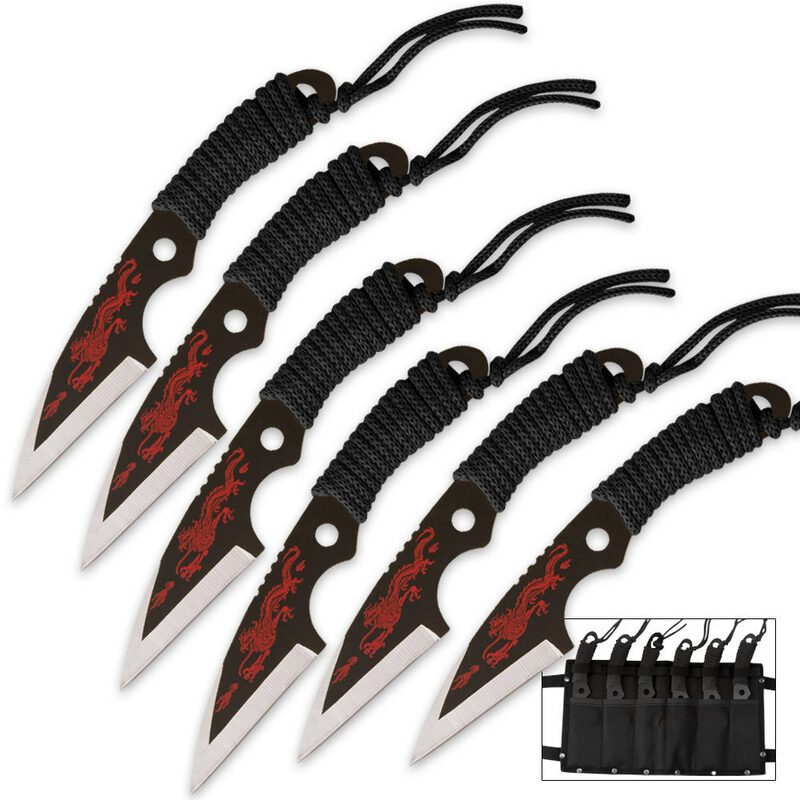 Each throwing knife is cast from solid stainless steel, finished in black and satin, then accented with a red fire breathing Oriental dragon. The measure 7 1/2 in. overall and have black cord wrapped handles with stabilizing cord tail. A nylon sheath with leg straps is included.